People tab provides the details of people (users) and their information such as: name, user type, country of user, contact details etc. 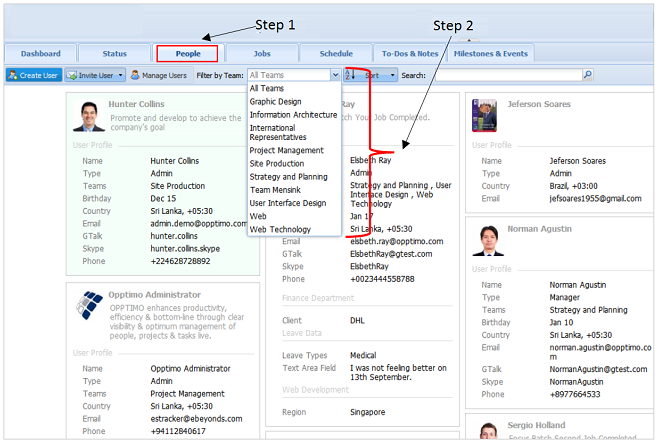 This also facilitates the options to create/ invite users, manage users, filter users by team, search users and sort users by names. User Information Box displayed in green color displays the user information of logged-in user. Step 1: Go to “People” tab -> Click on option in toolbar. Step 4: Click on button. 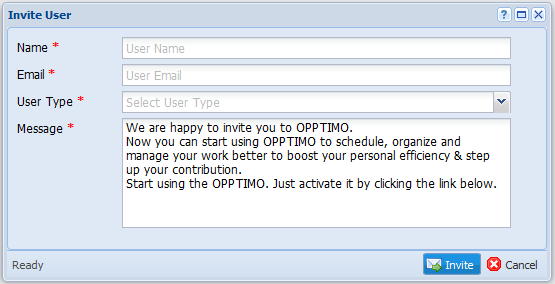 This will send an invitation email to invited users to register with the system. Step 1: Go to “People” tab -> Click on “Filter by Team” drop-down option. To sort user’s information by their “Name” in Ascending (ASC) order or Descending (DESC) order. Step 1: Go to “People” tab -> Click on “Sort” drop-down option. Step 2: Select the sorting option you wish from the drop-down list. 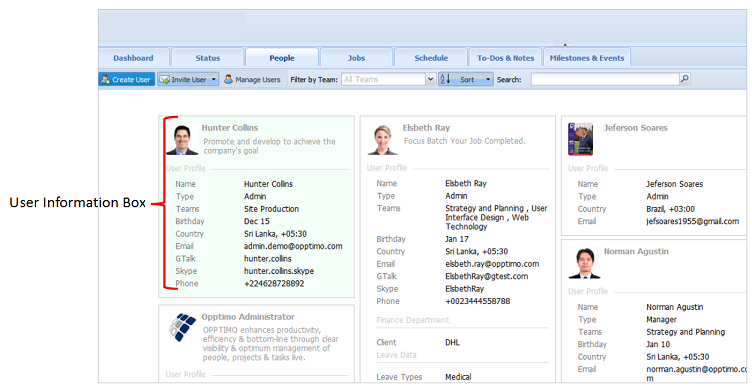 Toolbar is visible for Manager and Admin Type users ONLY. 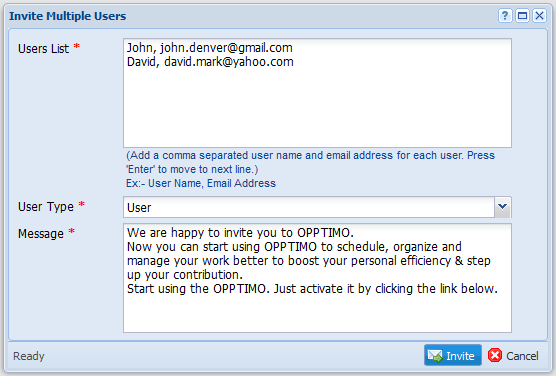 For more information on creating/ inviting & managing users, please refer feature section in the manual.